SANCTUARY__today from Theo Rigby on Vimeo. 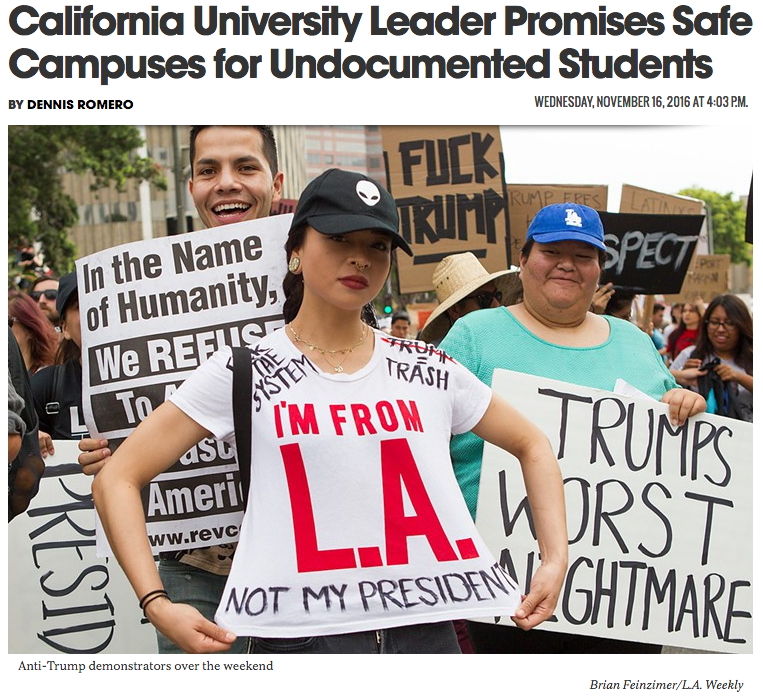 SANCTUARY is an hour-long documentary film that interweaves the powerful history of the Sanctuary movement in the 1980’s into the current day struggle for immigrant rights. 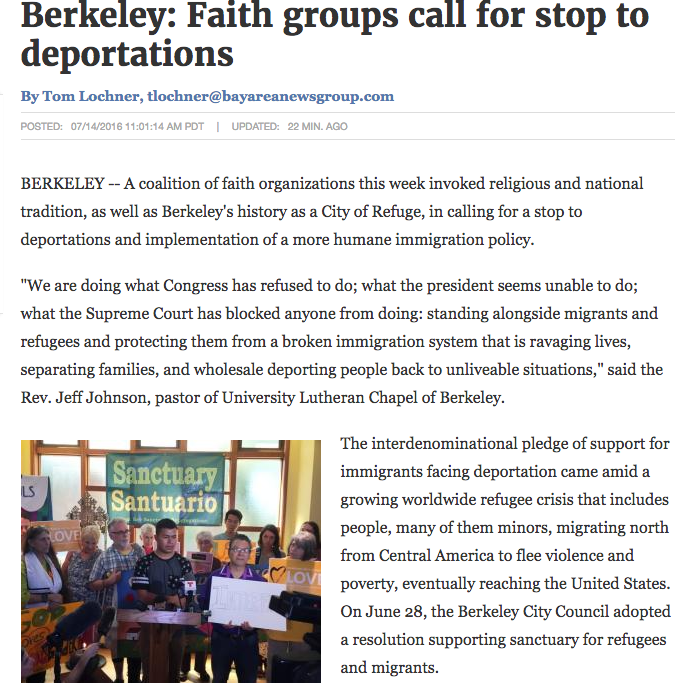 Today, communities of faith are embracing refugees, providing Sanctuary and challenging an immigration system that is deporting more immigrants than ever before. This evocative and emotional film will ask the burning question: when an immigration system is broken and injustice prevails, are we morally and ethically obliged to aid refugees on our doorstep? 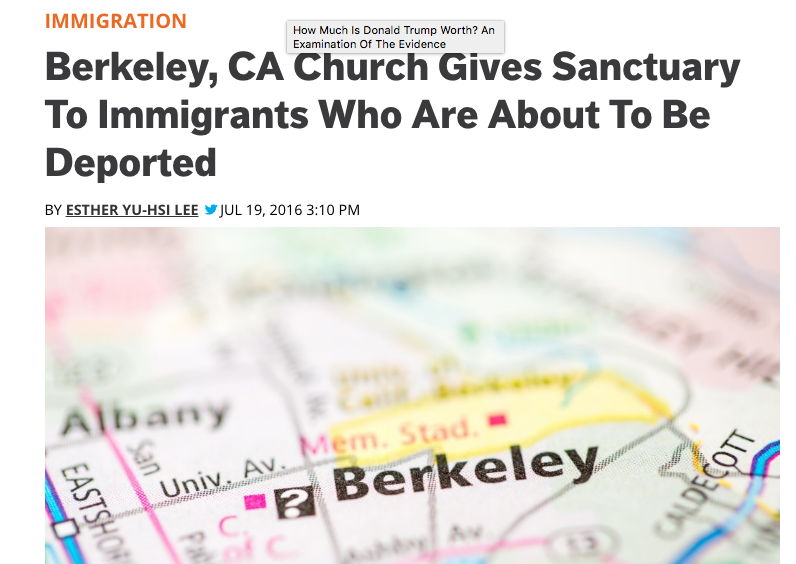 For more, check out: inationmedia.com/sanctuary. 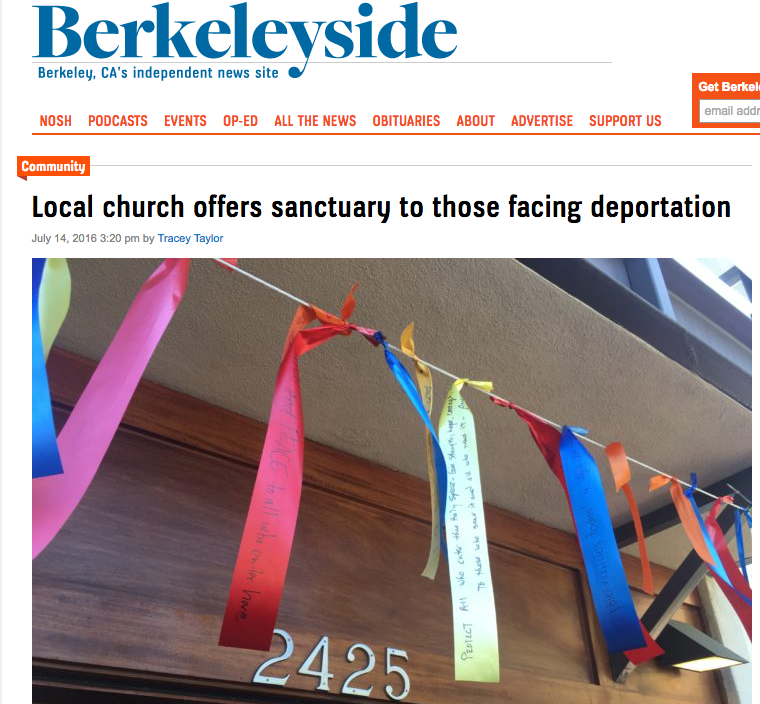 Berkeleyside piece on l﻿ocal Sanctuary church! 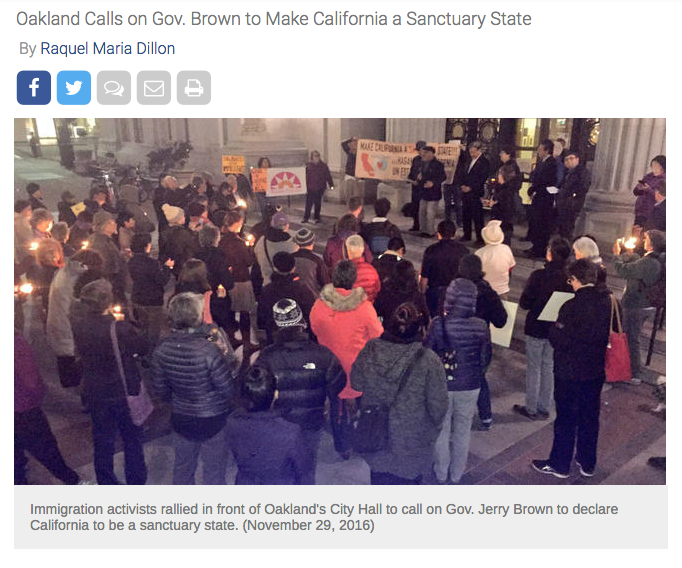 East Bay Times﻿ reports﻿ on the Sanctuary movement!